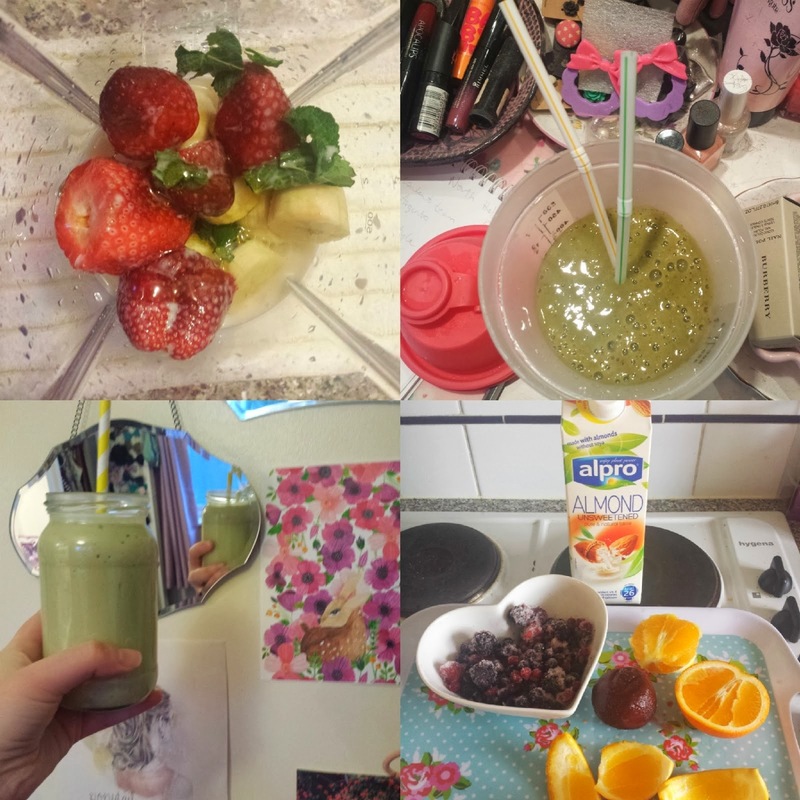 last week i posted my results after taking part in the #AlproAM smoothie challenge during the start of february. i really enjoyed the challenge and the effects that a filling start to the morning brought with it - besides the obvious health kick, i found myself wanting different foods throughout the day, and that instead of popcorn or salty snacks, i was chosing fruit or crackers. all good things! there were a few of you who asked after some of the specific recipes that i'd used to make my morning smoothies, so rather than keep directing you to the hash tag on twitter and instagram (still do check them out though, there are a ton more to taste for yourself! ), i thought i'd share some of my favourites on here. btw - it's worth noting that despite them all containing alpro almond milk (a dietary benefit for the lactose intolerant in me), you could easily adjust to the base of your choice - amy of little mind seeds opts for coconut water in hers and boyfriend prefers regular old milk in his. each to their own, but for the purpose of continuity, i will recount my recipes with the almond milk that i've grown to bloody love. also worth noting that since my affair with almond milk began, i've not looked at soya milk the same. i now find it waaay too nutty, and that says something when almond milk is literally made from almonds. > literally chuck it all in and wham-o! delicious drink is yours. please do check out the hash tag on twitter (here) or instagram (here) for more original and tasty (and healthy!) smoothie recipes from everyone else who took on the power-plant challenge. i really enjoyed it, and know that you definitely would too! what's not to like really? health benefits and tasty treats, all before 9am! I've not tried almond milk but am quite curious about it. I often pick it up in supermarkets and think about getting it! I'm guessing it's not nice in tea? Does it work well with cereal?